The land of mass-market animated features is one dominated by giants. With Walt Disney Animation, Pixar and DreamWorks pouring massive marketing budgets into four-quadrant annual releases, the margin for indies to break through is slim. But that’s not stopping a host of Canadian companies from trying. 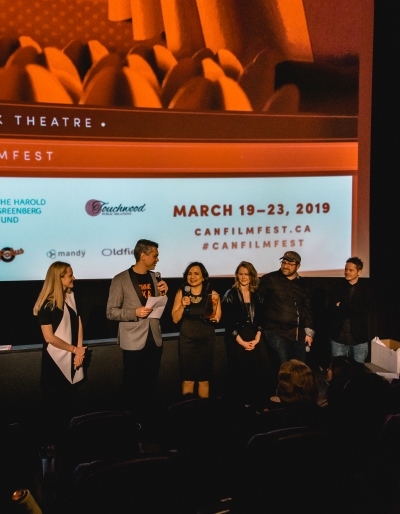 Here’s how three independent production companies have shaped strategies to reach audiences and capture market share in this competitive space. 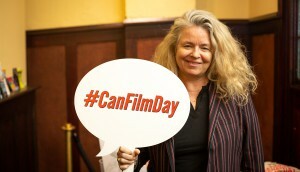 Toronto-based independent animation studio ToonBox Entertainment made a big bet on 2014′s three-way copro The Nut Job and it paid off in spades; the film grossed over $64 million domestically and more than $120 million worldwide, achieving the biggest North American box office opening ever for an indie animated feature. Now it’s hoping its first foray into animated features will see sophomore success with 2017′s The Nut Job 2. But what was the secret sauce that allowed it to, ahem, crack the market? Like most successful feature films today (Exhibit A: the critically trashed opening-box-office smash Suicide Squad), marketing played a big part in the The Nut Job‘s box office win. Working with its U.S. distributor, Open Road Films, ToonBox focused the bulk of its efforts on creating strategic promotional partnerships in key territories. It collaborated with fast-food outlets like Burger King and Fishers in Mexico, and Hardee’s in the Middle East to create customized The Nut Job promotional materials, such as graphic cups, key chains and kids meals. In the U.S., promotional partners included brands like Farrell’s Ice Cream, Gogo Squeez, Hines Nut Company (obviously), Joy Cone Company, the National Wildlife Federation (around an educational Squirrel Day), Peanut Butter and Co. and That’s It Nutrition. In Canada, working with distribution partner Entertainment One, a promotional partnership was formed with Marble Slab Creamery, which featured a special Nut Job ice cream. “The idea was to make [The Nut Job] an event, something families had to attend worldwide together, and a film that appeared everywhere and anywhere,” says ToonBox Entertainment spokesperson Matthew Celestial. That, combined with the inclusion of clever pop-culture references, like a dance number at the end of the film featuring then-still-popular song “Gangnam Style” and a distribution strategy that placed the film’s opening at the end of massive Disney animated hit Frozen‘s theatrical run, contributed to the film’s box-office win. This time around, Toonbox and its partners, South Korea’s Redrover Co., China’s Shanghai Hoongman Technology Co. and L.A.-based Gulfstream Pictures, are getting even more sophisticated with the addition of a large-scale traveling live show. Coproduced by Red Rover and Montreal-based global performing arts company Monlove (of Cirque du Soleil fame), it will feature a brand new story, a full line of merch and, above all, ensure the franchise will stay in the public eye for years to come via a four-year world tour in over 100 countries. 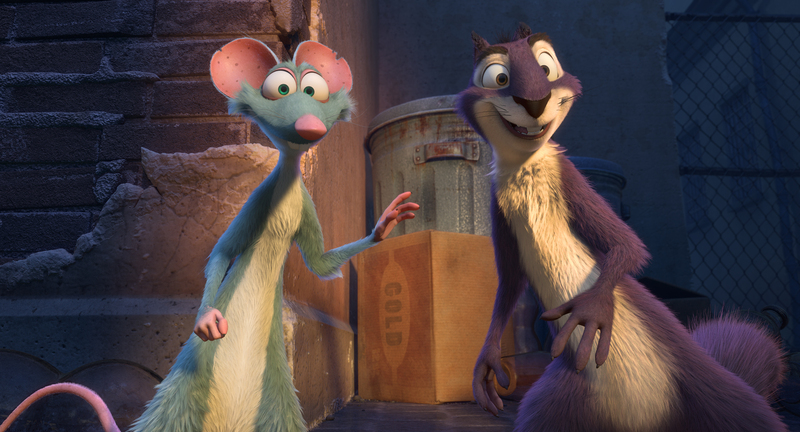 A key difference in The Nut Job 2 from the first film will be the marketing power of its voice cast, which adds Jackie Chan to returning stars Will Arnett, Katherine Heigl and Maya Rudolph. Chan is not only still a bankable star in North America, he’s massive overseas in Asian markets, increasing the film’s appeal and critically, its global box office potential. Celestial says that ToonBox will also be incorporating feedback it received from the first film into marketing for the follow up, including breaking away from traditional media to tackle social media platforms and new ad formats, and creating seamless collaboration between coproducers, distributors, promotional partners, cast, and international teams for a cohesive approach to marketing. Vancouver-based CGI animation and production studio Rainmaker Entertainment decided to make the leap from simply making films to co-owning them by employing an ambitious multi-party partnership strategy built around pre-existing video game IP. The result was Ratchet & Clank, a family-friendly film based on the successful and long-running Ratchet & Clank video game franchise by Sony Entertainment America and developed by Insomniac Games. Produced alongside Los Angeles-based Blockade Entertainment, the film was a coordinated effort between Playstation globally and Rainmaker’s distribution partners, Gramercy Pictures in the U.S. and Universal in Canada, to target a family audience while capturing and capitalizing on the game franchise’s big fan base. “We saw it as an opportunity to work with partners who then could help leverage that franchise so that it wasn’t just Rainmaker out there trying to create awareness,” says Michael Hefferon, president and chief creative officer of Rainmaker. 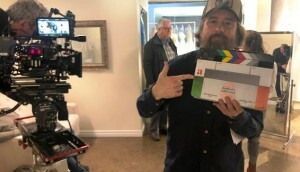 The film, which opened in theatres on April 29, was released just two weeks after the game’s latest iteration in order to take advantage of stackable marketing opportunities. Combining the efforts of all partners also afforded the ability for 360-degree fan engagement around integrated game and film content, Hefferon says. 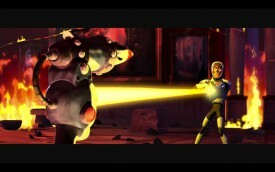 Unfortunately, Ratchet & Clank ultimately underperformed at the box office, pulling in only $8 million domestically. Heffron sees the film’s timing as its biggest downfall, coming on the heels of Disney’s family-friendly animated features Zootopia (which opened on March 4 and exceeded expectations) and The Jungle Book (opened on April 15), as well as Sony’s soon-to-follow animated feature Angry Birds (opened on May 20), which was also a video game adaptation. “A lot of what I hear from people is we never even knew [Ratchet & Clank] was in theatres, or we weren’t aware of it, or we never saw an ad for it,” he says. Rainmaker is hoping that the film’s secondary windows will be more profitable, especially given the evergreen aspect of the title, which was first released as a game in 2002. While Rainmaker is unsure about investing in bringing another Ratchet & Clank film to theatres, it’s currently in production on another Sony video game property called Sly Cooper, slated for release later this year. “We believe in the approach we went for [with Ratchet & Clank], but [the film's performance] certainly makes us have to rethink timing, how we release and even budget numbers that we consider releasing films at,” says Hefferon. Burnaby, B.C.-based Bron animation, a division of Bron Media Corp, is looking to be the next Canadian indie animation prodco to break into the market with original feature-animation IP. Having gotten its feet wet with its successful Mighty Mighty Monsters franchise, an original kids animated series for TV, it’s been gearing up to enter the animated feature market in 2017 with its first original family film, Henchmen, targeting boys ages eight to 14, and a second project, The Willoughbys, for kids six and up. The key to the studio’s strategy, says Luke Carroll, VP, production and development, Bron Animation, is finding uniquely positioned IP to push out into the marketplace, avoiding making what he calls a “Pixar-lite” movie. For example, Bron considers both Willoughbys and Henchmen three-quad films because it’s the prodco’s “take” on the family and superhero genres, respectively. “Rather than telling a superhero or supervillain story, our angle [with Henchmen] is through the third-class henchmen working for the super villains. That’s just something we haven’t seen before. Bron is currently working on securing a North American and/or global distribution deal for Henchmen (it already has eOne Films on board as a Canadian distributor). Slated for a later release, The Willoughbys is still in pre-production and, thus, not at a point where it can be properly shopped around to potential distributors. 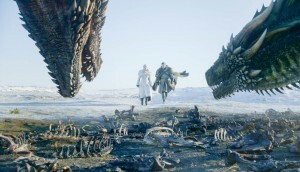 But once Bron finds the right partners, says Carroll, the studio will then work with them to determine how best to market the films in order to build awareness leading up to their respective releases. As for the potential for franchise building (as studios are wont to do with animated IP), or merchandise and licensing opportunities (M&L), Carroll says the company is taking the approach of seeing how Henchmen fares at the box office. It does have an idea for a possible product tie-in for Willoughbys, given there’s a chocolate theme in the movie, but it has yet to make a move in that direction for the still-early film. “I don’t think [M&L] affects your decision on what projects to make at the get go,” says Carroll. “We didn’t choose Henchmen because of M&L. What we hope is that the first one does well enough for us to do a sequel that would then warrant some potential for M&L. “M&L comes with success,” he adds. This article originally appeared in Playback’s Fall 2016 issue.